Protect yourself and ward off the evil eye with these apotropaic talismans and charms--literally meant to turn away harm they are a popular, and beautiful, piece of craftsmanship. 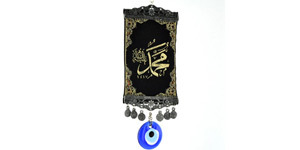 We carry the classical hanging evil eyes that can be placed by a window or doorway to protect the room. 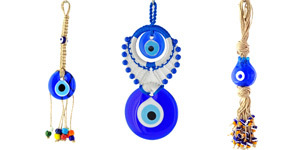 Along with tapestries and macramé pieces we also carry the full line of evil eye jewelry. Each piece is hand made in Istanbul and imported directly by Paykoc Imports. 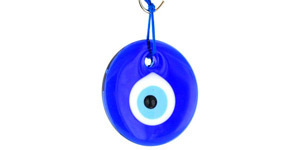 The curse of the evil eye superstition dates back hundreds of years and trusted spiritual advisers would create talismans, also referred to as “evil eyes”, to ward off the curse and protect the wearer or inhabitant. In the hustle and bustle of the modern world we might not think much of this, but should we really take that chance? Hang an Evil Eye over your door and you have not only a conversation piece but a spiritual ward and protector of all things good. Don’t have a door? Then check out the earrings, bracelets, and necklaces and keep your evil eye guardian with you at all times. 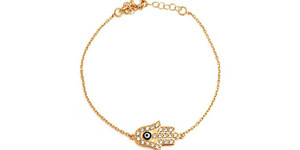 Need more protection than just one evil eye? 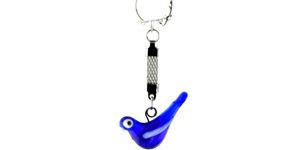 Or do you known a business and would like to sell our evil eye merchandise? Than our wholesale option would be great for you and we would be happy to work with you. Click here for more information on how to become a wholesale supplier. We also offer engraving options on many of our evil eye products. For more information click here.